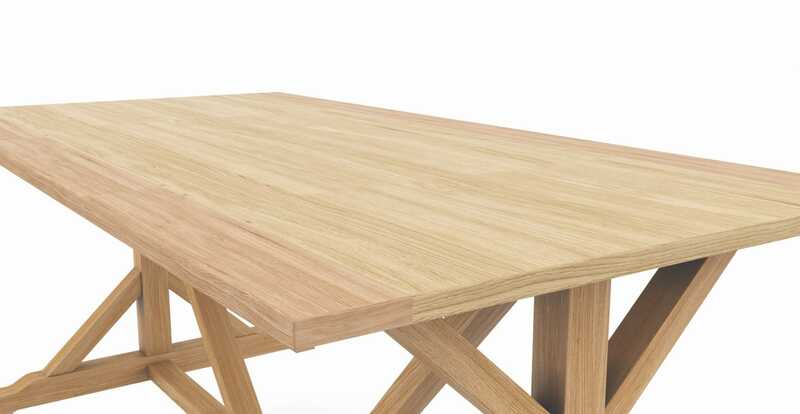 The Chablis Trestle Dining Table is a stunning and structurally sound rustic dining table. Combined with the sleek curves of the Espen Scoop Back Dining Chair, the two create an eye-catching dining set for family or entertainment. For increased seating, you'll want the 6x chairs dining set. Built for both style and comfort, the Espen features a plush 100% Foam Filling, which provides the perfect cushioned seat. Soft to the touch, Brosa's exclusive range of Linen Espen Chairs are made from high grade fabric weaves. The size and symmetry of the Chablis creates a look the entire family will love. The design of the Espen is about revamping a tried and tested traditional style. Complete you dining room with the perfect 5 piece dining set. See, touch and feel our fabrics used on our Dining Set Chablis Trestle Table 4x Espen® Scoop Chairs. For Free! Simply select up to 3 fabrics and add them to your cart. Delivery is on us.